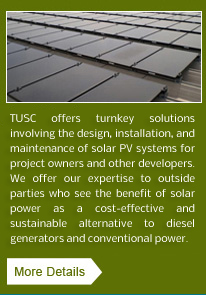 In September 2011, TUSC installed a 206.5 kWp solar carpark and solar panel test bed that utilizes four different types of solar panels to compare the yields and efficiencies of various technologies. The solar carpark has an annual output of 300,000 kWh of clean energy, equivalent to more than 220,000 kg of avoided carbon emissions. 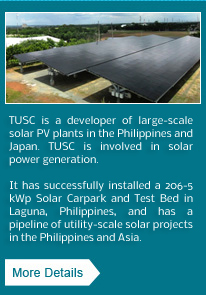 It is currently the third largest solar PV installation in the entire country and the first-ever solar parking canopy. 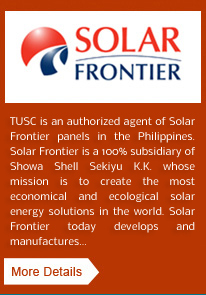 TUSC is also set to develop large-scale solar PV plants in the Philippines, Japan and other Southeast Asian countries, for which the company is currently undertaking technical and feasibility studies, acquiring the necessary government permits and financing arrangements.